eorgia’s Ministry of Internal Affairs (MIA) reports that driving a car under the influence of drugs, psychotropic or psychoactive substances will be punishable by criminal law. tled to request drivers undergo drug tests if they see the existence of grounds envisaged by the law. The MIA says driving a car under the influence of narcotic substances is criminalized in many European countries, including France, Germany, Holland, Italy, Poland, Portugal, Czech Republic, Croatia, Estonia, Romania, Finland, Sweden, and others. in line with international human rights law and standards,” said Elzbieta Karska, Vice-Chairperson the Working Group and another member of the delegation. “In addition to engaging in a constructive dialogue with various government ministries and agencies, we will meet a range of civil society actors, human rights defenders and trade unions, as well as representatives of business enterprises and industry associations,” she noted. During their visit to Georgia, the experts will hold meetings in Tbilisi and in different locations of the Imereti region and the Autonomous Republic of Adjara. The Working Group will present a full report of its findings and recommendations to the Human Rights Council in June 2020. Europe is composed of members of the Parliament of Georgia and the Parliament of Europe. The body serves as one of the institutional frameworks that the Association Agreement establishes for co-operation between the EU and Georgia, along with the Association Council and Associate Committees operating within the Executive Authority. Its main objective is to supervise the implementation of the Association Agreement and promote Georgia's integration into Europe, explains the Ministry of Economy. Within the framework of Arveladze’s visit, the Committee discussed more broadly relations between Georgia and the EU and the Association Agreement implementation process. They touched on Georgia’s progressonissuesofdemocracyandhuman rights, challenges in the country’s EU visafree process, and the impact of the DCFTA on the economy as a whole. Fellow Deputy Minister Natia Turnava accompanied Arveladze to Strasburg, and both participated in the Parliamentary Committee session. opportunities in other sectors. Additionally, most “farmers by default” cannot meet the labor market’s requirements, in terms of skills or education, even for the existent jobs. Thus, high employment figures in agriculture, paired with the declining share of agriculture in GDP, signal a need for better vocational education and subsequent structural changes. 2019, the CPI experienced a 2.3% increase. On an annual basis for food and nonalcoholic beverages, the prices increased by 2.9%, contributing to a 0.9 percentage change in the total CPI. In February 2019, the sharpest price fluctuations on an annual basis were observed within the following subgroups: fish (12.5%), bread and cereals (10.2%), vegetables (7.6%), meat (4.3%), fruit and grapes (-23.6%), sugar, jam, honey, chocolate and confectioneries (-3.4%). increased by 15%, reflecting the increased price of wheat flour (an 8% increase on an annual basis) (Figure 2). According to the trade data for February 2019, imports of wheat flour to Georgia amounted to 1650.70 tons- 4% higher than in the previous year (1588.31 tons). Projections for wheat production in 2019 do not seem promising. According to the United States Department of Agriculture (USDA), the projected world output of wheat will be 734.75 million metric tons, 4% lower than the respective indicator from the previous year (763.18 mln. metric tons). Whilst, the projected total use of wheat will be 747.23 mln. metrictons, therefore higher than the projected output. This implies that the end stocks for 2019 will be lower than the previous year. Remarkably, Russian wheat production is expected to be lower by 16%, while the corresponding change in Russia’s wheat export may decrease by 11%. Considering that Georgia is a net importer of wheat flour and Russia is the main importing country (Russia provides approximately 90% of Georgia’s wheat imports), Georgian consumers might expect further price increases in wheat and wheat products in 2019.
INTERNATIONAL PRICES International prices increased in February 2019. The Food Price Index, measured by the Food and Agriculture Organization (FAO), increased by 1.7%, compared to January 2019. On an annual basis, international prices maintained a downward trend: the FAO Food Price Index has decreased by 2.3% since February 2018. The main drivers were the weaker prices of vegetable oil, sugar, and meat. The FAO Vegetable Oil Price Index, in February 2019, experienced the sharpest decrease of 15.5% from the previous year, and, during the same period, the price of sugar and meat reduced by 4.7% and 4%, respectively. Whereas, the FAO Cereal Price Index increased by 4.7%. The FAO Dairy Price Index also increased, but only slightly by 0.7%. exports (including food) equaled approximately 57 mln. USD, almost 27% of the total Georgian export value. When comparing this indicator to February 2018, the share remains practically unchanged. As to imports for February 2019, Georgia’s agro imports exceeded 79 mln. USD, which is roughly 15% of all Georgian imports. Year-over-year (compared to February 2018), agricultural imports declined by 6%. SHEEP PRODUCTS AND MEAT - IN THE SPOTLIGHT The beginning of 2019 was active for the sheep trade in Georgia, although the key imported and exported sheep products differed significantly. The official trade data, by GeoStat, suggests the country was actively buying live animals and selling the meat in return. Though the beginning of the year is not the high season for live sheep (HS code 010410) imports (there were no imports in January or February of 2014 and 2017 at all), over the last two months Georgia spent more than 1.5 mln. USD on live sheep on the international market- over twice the expenditure of January-February 2018. The import of these animals has gained particular influence over the last three years, with 2018’s total imports (7.5 mln. USD) surpassing the 2014 record value with a 3.4 mln. USD margin. The export of sheep meat also boomed in the first two months of 2019, and the dynamics were more striking than with live sheep imports, in absolute as well as relative terms. Interestingly, Georgia started to sell fresh and chilled sheep meat (lamb carcasses and half-carcassesHS code 020410) to foreign countries for the first time in 2017, and that year reached annual sales of 14 mln. USD, and subsequently managed to double annual sales over the following 12-month period (31 mln. USD in 2018). Thus far, the data for 2019 is also promising, and according to GeoStat, for this January and February combined the exports of fresh or chilled sheep meat (lamb carcasses and half-carcasses) amounted to 2.1 mln. USD, which is 0.7 mln. USD (approximately +47%) greater than the corresponding figure from 2018. Ruling out re-exports, or re-imports, it is noteworthy that in January-February 2019 live sheep exports were only worth 0.1 mln. USD, while fresh and chilled sheep meat (lamb carcasses and halfcarcasses) was not imported to Georgia at all. For a further breakdown of the monthly data, see the Figure 3.
years, they have been increased to 110,000 hectares. The PM explained that the Tedzami River Reservoir will serve nearly 10,000 citizens and irrigate 7,000 hectares of land, which to date was almost abandoned. "It is a truly unique project that will breathe new life into Shida Kartli, namely the Kaspi region. Water and its resources are Georgia’s wealth. Accordingly, tapping into water resources is of vital importance for the success of our national economy," the PM noted. “Such projects will significantly improve the social and economic conditions of households involved in agriculture, while also helping us to ensure inclusive growth in Georgia, to achieve a type of growth that will impact every Georgian family. Overcoming the most painful challenge of poverty is the key priority of our economy,” the PM said. He added that the construction of the reservoir offers an opportunity to implement systemic and consistent infrastructural and agricultural projects, and to turn the reservoir's surrounding area into a tourist destination, which will be an additional advantage of the project. “I am convinced that such projects stand for a strong country, a strong Georgia and enable us to achieve progress in the regions,” Bakhtadze noted. GEL 71 million will be invested in the Tedzami Reservoir project and it will employ 500 locals from the municipality. Employer’ for its ‘Employee Development Program;’ GPI Holding, which was named the best in the ‘Responsibility in the Marketplace’ category for its support to small and medium businesses; TBC Bank, awarded for ‘Supporting the Community’ with its project ‘Tsereqartulad’ (Write in Georgian); small/medium company ACT, which was awarded for its support to social entrepreneurship; Natakhtari, recognized for its ‘Care about the Future;’ advertising company Holmes&Watson, which was acknowledged for the project #argambolo in the ‘Best Creative CSR’ category and the Palitra Media Holding, whose project ‘Makuliteratura’ was awarded in the special category of ‘Waste Management Initiative.’ The take-away from the media training this weekend was that Georgian media representatives should not only themselves aim to take on a socially responsible role in their everyday workings (taking into account social, ecological, economic impacts), but to hold the companies they encounter up to and above the internationally recognized standards of good CSR: to not only highlight and report on the good that is being done in the singular charitable act that may be promoted by a particular company or organization, but to ask: is it sustainable CSR? Are they doing enough? And could they do more? More on this topic in next week’s GT Business. small-to-medium scale, that are ready to offer their clients more attractive interest rates on savings than the larger financial institutions – in total, over 250 products available at the click of a button. Raisin provides a platform connecting those banks, from Portugal to Poland, from the Czech Republic to Malta, to the customers they wouldn’t have been able to reach otherwise. The startup makes its income in the commission it charges the banks, for essentially allowing them to take full advantage of the EU-wide single financial market. This inevitably brings up the issue of Brexit. RAISIN OFFERS PRODUCTS IN THE UK, BOTH IN GBP AND EUR. DO YOU EXPECT BREXIT TO HAVE A NEGATIVE IMPACT ON THAT PART OF YOUR BUSINESS? Not on the GBP side, no. You see, the GBP-based offers are only from locally licensed banks, so no Brexit implications there. The EUR, however, will suffer– we will be offering the product elsewhere, but the UK entities, the three banks that worked on that, would have to stop after Brexit. DO YOU PLAN TO EXPAND INTO OTHER JURISDICTIONS? OTHER CONTINENTS, MAYBE? We’re thinking of Asia as a probable next step in expansion. Clearly, there is an interest in the service we’re offering, since we know of several copycat businesses – in India, even in Australia, but those are country-wide, nothing crossborder – unlike Raisin. At the same time, we see plenty of opportunities within the EU, and are planning to explore them. Currently, EUR 11 bln has been invested via Raisin, platform-wide, and that’s a good number, but consider this: the whole savings product market in the European Union is over EUR 12 trillion! Lots of growth to tap into! institution, so all the funds you transfer, both deposits and withdrawals, go through a regular bank that has verified who you are and where you got the money from. It’s a mandatory requirement for AML purposes: anti-money laundering regulations in the EU are very strict. carry very low risk. In fact, 60% of Raisin’s customers (natural persons, although we’re just rolling out the products for GmbH, in Germany only) come from AA-AAA-rated countries, like Sweden or France. There are some jurisdictions that allow non-face-to-face account opening, but in Germany, we do identification via Postal Banks or video-chat. In Spain, there are tools like reference transfer, address verification, ID upload. We keep track of beneficial ownerships, no funds from Russia or China, for example, so, yes, we’re trying to keep risks very low. FOR MOST, THIS WILL SOUND OUTSIDE THE TEMPLATE: STARTUPS ARE USUALLY HIGH-RISK PROPOSITIONS. We found a mutual comfort zone with the regulators, and it worked out pretty well. Generally, I maintain that having an open communication with them is very important; we had to tweak our original proposal, but the underlying core idea was good – and that’s what successful startups are all about, and the team, obviously. I’m a believer in hiring senior, experienced people, but we take in those who grow with the company, too. see what’s out here while keeping an open mind. Bank of Georgia works with fintech startups, and I keep an eye on this sector, too. Startup Grind Tbilisi is developing, so I thought it would be interesting to meet the people, share my experiences, successful or not. LOOKING AT RAISIN, CLEARLY, YOU’VE BEEN VERY SUCCESSFUL! I’ve made my fair share of mistakes: it took me a couple of investment errors to realize that you have to leave everything to the professionals. Just because you’re good at fintech, it doesn’t mean you’re automatically good at investing, even if you had a couple of good calls at some point. LAST QUESTION BEFORE YOU STEP IN FRONT OF THE STARTUP HOPEFULS: WHERE DID THE COMPANY GET ITS NAME, ‘RAISIN’? IT’S PRETTY DRY FOR SUCH A “JUICY” BUSINESS! We wanted an easy word that would catch on. Originally, “raisin” meant that we were raising (raisin’) interest rates for the deposits and savings, we were raising funds… But also, the word “raisin” in French means grapes (note: Eng. “raisin” is “raisin sec” in Fr.). I’m Georgian, so grape culture is in my blood. We weren’t thinking about it back in 2013, but, if we decide to sell the domain in France, we could make good money [laughs]. positively reflected in the quality of new construction. The event was attended by representatives from governmental bodies, nongovernmental organizations, international companies in the sectors of construction, development, and architecture, international financial institutions, and international education institutions. Representatives of companies participating in the conference discussed building certification models, how to build energy efficient buildings, and how old constructions can be retrofitted to be energy efficient – a major concern of home-buyers in Georgian cities, where new constructions are often avoided for their poor insulation. The energy efficiency in construction conference was the first of its kind to be held in Georgia, reflecting the government’s public commitment to improving Georgia’s environmental policies and quality of life in the country. The longterm effects of the new regulations on energy efficient constructions, assuming they are approved by Parliament, will likely take years to be fully realized. jugation of NRJ’s strike force together with their market expertise will once more be a success story,” said Richard Mazeret, CEO of International Activities of the NRJ Group. “We are making our own version of the world's most listened radio station,” noted Lars Nielsen, CEO & Partner at TVR Media. “The results six weeks after the launch of NRJ in Denmark are staggering and we show impressive growth week-on-week. The strength of the NRJ name and the positive vibes connected to the brand have played a massive role in these results.” “Although we could have taken one of our three TV brands, or launched a new radio brand, the choosing NRJ was a positive and conscious decision. The strength of the brand, the power of the group and the proven success made this an easy choice for Sbs,” said Peter Quaghebeur, CEO of SBS Belgium. Gela Kvashilava of the NGO Alliance for Road Safety lamented the delay in the implementation of tougher taxi market regulations. “Any leniency in the enforcement of road safety measures, be it technical inspections or anything else, translates into additional accidents and loss of life,” Kvashilava explained his position. “If it were up to us, we would take off Georgian roads about 70% of old vehicles. Tbilisi’s city center should be declared a pedestrian zone. Let’s go back to our horse riding traditions, to our centuries-old rustic ways of life. Alexander Chavchavadze was a pioneer of European-style carriages in the 19th century, and what happened to him? As we all know, he died in a carriage accident. How can we not learn from history?” In closing, Prime Minister Bakhtadze reiterated the Georgian Dream coalition’s determination to take further steps beyond the Association Agreement, toward a deeper and more comprehensive integration, including sectoral integration. “Our decision today serves only one purpose: to allow Georgia enough time to make necessary adjustments. We want to be a part of Europe, but cannot afford EU-style bureaucracy, at least not immediately”. ABOUT THE AUTHOR: Eric Livny is Founder and President at Tbilinomics Policy Advisors and Chair of Economic Policy Committee at the International Chamber of Commerce (ICC Georgia). unjustified privilege and support of a particular religious organization. “The prerogative of a particular religious organization creates hierarchies of other religious organizations or minorities and is of a discriminatory nature,” the NGO stressed. The Georgian Patriarchate has the faith of 83%of the country’s population and is the most influential and richest religious organization in Georgia. The relationship between the Orthodox Church and the government is regulated by a constitutional agreement which was approved by Parliament on October 22, 2002. This document is considered one of the highest legal acts in Georgia after the Constitution, giving the Church privileges that are incomparable to the rights and privileges received by other religious communities. In addition to this, the Church is free from taxation. same time nice to drink! 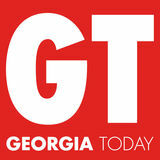 International buyers know Georgia and especially its potential for organic products. They're looking into Georgia more and more." Georgia took part in the BioFach trade fair in Nuremberg as an exhibitor for the first time in 2019. Two Georgian organic food producers were exhibiting their products and putting their companies into the mindset of international buyers. The exhibition was a great success for both 'Georgian Herbs LLC' (herbs.ge) and 'Georgia's Natural Aromaproduct' (aromaproducts), who managed to gain attention and orders from numerous international buyers. BioFach is the world's leading trade fair for organic food, held annually with the purpose of connecting organic producers from all over the world and presenting the sector's latest trends. The participating companies are beneficiaries of the International Trade Center’s “Eastern Partnership: Ready to Trade” project, funded by the EU under its EU4Business initiative. The project aims to help small and medium-sized enterprises (SMEs) from Eastern Partnership countries to integrate into global value chains and access new markets, focusing on the EU. The main support is given in producing value-added goods fulfilling international and EU market requirements. The overall objective is to enhance the international trade of SMEs from the six Eastern Partnership countries, focusing on strengthening SME competitiveness and building up value chains in each country. Besides helping companies connect to buyers and consumers, trade fairs are an important place for increasing the sales activity and strengthening the bond between them. of herbs, and later packs them for wholesale and export. "The company also promotes its social impact in the regions of Georgia. Before, these herbs were not collected at all. They were growing in the forests and on agricultural land as a side or even waste product of agriculture. The farmers used to pick it and throw it away because it took necessary nutrition from the main agricultural products. We trained people in the regions to collect herbs in a sustainable way. We wanted to stop the waste of a resource for the future. Now, more than 100 people are working, collecting in the fields, year round. We supported a very small subsector development in Georgia with social impacts in the regions," Kopakhidze told us. The company is also planning to produce packaged products for retail. Other future plans involve gaining more certifications like HACCP, Fairtrade, Farewell and Kosher. The trade fair showed the necessity of international recognized certifications on the international organic market. “Georgia, despite its potential, still needs to develop more organic producers and organic high-end products. Right now, it is still hard to compete with the international presence of Europe, the US, Turkey and even with other Eastern Partnership countries who have more organic companies than Georgia. But my assumption from the this year‘s trade fair is still more than positive. 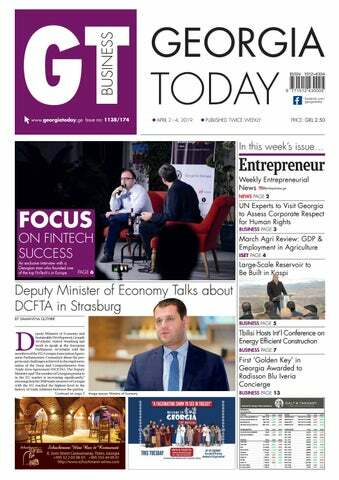 Georgia is definitely known for its agricultural potential, especially in the organic field, and it is step by step, through trade fairs like Nuremberg, getting better known in the international organic producer community." ecades of corruption coupled with low average salaries in Georgia means the salaries of state employees are of particular national interest. Last week, Forbes Magazine Georgia listed the salaries of several directors of state organizations. During the first nine months of 2018, state organizations spent 717.3 million GEL on salaries. An audit conducted by the Budget Monitor revealed that bonus costs amounted to an additional 1% of remuneration costs and supplemental expenditure accounted for 14% more, totaling an additional 141.7 million GEL. Particular attention was paid to the newly created Pension Agency, where appointed council members should earn no more than $60,000 per year. Nonetheless, a high-ranking official earns more than this amount. Representatives at other regulatory agencies and state companies earn similar amounts. However, it should be noted that some operate independently and most generate profit. totaled more than half a million GEL. 9. Vice President of the National Bank – Muraz Kikoria The former Vice President of the National Bank earned 137,391 GEL per year, or 11,500 GEL per month. He also earned an additional 78,000 GEL as a board member. of 46 municipalities taking part in the project.” How the money is used is kept transparent. Archuadze explained that the mayors are interested in making good use of it and that he, along with the delegation, is in charge of checking how the money is spent. He stated: “What is important is that it is the first time that Georgian municipalities have received so much funding from the EU and had to manage the money by themselves, and I think that everything is going well.” The EU framework program for Research and Innovation, Horizon 2020, also presented its activities in Georgia, including the CURE project, aimed at finding solutions for asthmatic diseases. Finally, students benefiting from Erasmus+ programs shared their experiences. The programme enables bachelor students to go abroad and study there for maximum of a year, while being entirely funded by the EU. Mariam Bitsadze told us: “The competition to enter the program is very strict, but I was given the chance to study in Finland, in the University of Helsinki. I study international relations and I was interested in diplomacy. Thanks to Erasmus+, I had the exceptional opportunity to work for Georgia’s Embassy in Finland. The experience also enabled me to become a more independent person. Erasmus+ connects people and I encountered people of different nationalities who became very close friends.” Esma Gumberidze added, “I was in Germany for the first semester and then in Romania for the second. Thanks to Erasmus+, I had the opportunity to live alone. It was definitely an asset for me, giving the fact that I have a disability [Esma is blind]. In Georgia, I would not have had this kind of opportunity.” All the projects presented were inspiring and the meeting ended around a lunch and with an informal Q&A session. rience of working with us, and knows the company, its culture and aspirations well. I am sure, together, we will make our company even more successful and achieve better results on the Georgian market.” 2018 was a very successful year for the member companies of the Grant Thornton International network. In comparison with the previous year, the firm recorded overall global revenue growth of 9% across the network in 2018. This is the network’s highest rate of growth recorded during the last six years. In February 2019, International Accounting Bulletin published the global results of audit and consulting companies in 2018, with Grant Thornton ranked 6th on the list. International Accounting Bulletin carries out independent research without involvement of audit-consulting companies and presents fully transparent results. Along with the global results, 2018 proved to be a successful year for Grant Thornton Georgia in terms of revenue, as well as in the respect of new projects and partners. Revenues of the company increased by 11% in Georgia, while the number of employees augmented by 20%. With the involvement of the partners, 2019 is expected to be even more successful for the Grant Thornton Georgia team. ABOUT GRANT THORNTON Grant Thornton is one of the world’s leading organizations of independent assurance, tax and advisory firms. Grant Thornton firms help dynamic organizations unlock their potential for growth by providing meaningful, forward-looking advice. Proactive teams, led by approachable partners in these firms, use insights, experience and instinct to understand complex issues for privately owned, publicly listed and public sector clients and help them to find solutions. More than 53,000 Grant Thornton members in over 140 countries are focused on making a difference to clients, colleagues and the communities in which we live and work. Bank offering investment banking services to customers. Since 2017, TBC Capital has been a part of TBC Bank’s corporate and investment banking business. The main business decisions of the company are financial consultations and credit, rating services, issuance of bonds and shares, investment research and brokerage activities. After the speeches delivered the by the representatives of TBC Bank, the presentation continued in a discussion format. here can be moments when, accidentally or unexpectedly, you have to suffer because of your phone. Maybe you experience some software flaws, or you drop your phone and the screen cracks: all particularly painful for smartphone owners to deal with. But when the company offers to change a damaged screen at a special rate and gift a new battery into the bargain, the pain and stress fade away. are used by a third of the world's population. According to the 2015 data, the company is at the third place at the largest smartphone market in the world. There are 16 research and development centers operating worldwide in the USA, Germany, Sweden, Russia, India and China. HUAWEI Consumer BG is one of HUAWEI's three business units, mainly focusing on Smartphones, personal computers, tablets and cloud services. The HUAWEI Global Network is based on 20 years’ experience in the telecommunications business and serves to provide innovative technologies to customers around the world. zle with a Georgian Map. “Georgia is a very small country, unique in its variety of culture. Our country attracts tourists from all over the world and offers them unforgettable experiences. Considering this, I decided to make a Georgian map puzzle. It is a unique experience to feel like a local, and this is not just a simple puzzle, but is a product consisting of 12 pieces – eleven of them regions and the twelfth piece Tbilisi, the capital of Georgia. With each piece you insert, you can see how closer you are to your goal! And then you have it- Georgia in the palm of your hand!” he explains. To make his project more interesting, Bakhtadze decided to connect it with the booking of tours for guests. In order to make the tour unique, guests have to complete a quest related to Georgian culture, capture it in a photo and show it to the concierge. In return, the guest receives the puzzle `Path Sakartvelo` as a gift. n Georgia, Anti-Tobacco Day, ‘Georgia without Tobacco,’ is celebrated annually on March 29, the aim of which is to raise public awareness about the importance of a tobacco-free environment and the real threat of tobacco consumption. The event was organized by the Ministry of IDPs from the Occupied Territories, Labor, Health and Social Affairs of Georgia, the Parliament of Georgia, and the National Center for Disease Control and Public Health. It is important that Anti-Tobacco Day be devoted to a variety of priority topics annually. In connection with this day in 2019, the basis for the new public movement ‘Georgia without Tobacco Smoke’ was set. The movement, which has been joined by many well-known faces, allows any citizen to promote positive changes in the country for a healthy future and to join the campaign itself. sumption and mortality rate. The results of monitoring show that the law enforcement has been running effectively since May 1, 2018 to date. The level of execution is 96% in the sector. any western-led projects that could draw resources from the South Caucasus and Central Asia. Moreover, the Russians, quite rightly, also feared that such nascent economic projects would eventually evolve into political entities. As said, GUUAM was one such initiative and it took Moscow's constant attention to forestall its further development. As a result, Uzbekistan withdrew from the project in 2005 and Azerbaijan, Georgia, Ukraine and Moldova, with all their weaknesses, were unable to keep up the prospects of the GUAM project. Moreover, although all member states shared an inner distrust of Russia, they still failed to coordinate their foreign policy moves with one another. Still, as with many similar regional projects, the GUAM initiative might be weak, but it is far from dead. One of the rules for regional cooperation projects is that their effectiveness depends on foreign support and the geopolitical situation in the region. As such, a reinvigoration of the project has been seen of late, with the leaders of the member states renewing their meetings at the highest possible level. In 2017, the 20th anniversary of GUAM was celebrated, while in 2018 yet another meeting was held with the participation of high dignitaries. One might argue that the geopolitical situation in the South Caucasus and around the Black Sea now favors the reinvigoration of the GUAM initiative. All the member states, except for Azerbaijan, share difficult relations with Russia. Ukraine, Georgia and Moldova have Russian troops on their territory, while even Azerbaijan must try to balance the Russian influence. All member states now consider themselves as part of a single front to constrain Russian geopolitical moves. Moreover, in the 1990s and early 2000s, GUAM members had poorer energy and transportation links than are seen in the 2010s. The Baku-Tbilisi-Kars railway is one of those projects which allows the GUAM states to circumvent Russia. From a global perspective, GUAM could become an interesting project for the EU and the US. Both confront Russia’s moves across the Eurasian landmass and the two might view GUAM as a good basis for creating a veritable geopolitical front for Russia’s containment. Ribbon charity fund. The money received from every charity product sold by Avon is collected in the Pink Ribbon fund and is used for various initiatives in the fight against breast cancer. In 2019, the Avon Foundation allocated 50,000 GEL, which will be fully utilized to run Pink Space. Europe Dona Georgia is an organization headed by former patients who help other patients to overcome this severe disease. Europe Dona Georgia’s mission is to protect the interests of women with breast cancer and to aid their access to high quality healthcare services based on the guidelines, in order to achieve a decline in cases of breast cancer deaths and increase in recovery rates countrywide. During his visit, the Pope met with the Moroccan authorities, civil society and the diplomatic corps, followed by a visit to the Mausoleum of Mohammed V and a meeting with His Majesty King Mohammed VI at the Royal Palace in Rabat. His Holiness the Pope also visited the Mohammed VI Institute for the Training of Imams, Morchidines and Morchidates, had a meeting with priests, religious, consecrated persons and the Ecumenical Council of Churches in the Cathedral of Rabat, as well as with migrants on the premises of the diocesan Caritas of Rabat.